Tired of the depressing way Valentine's Day has been corrupted by happy couples*, this year instead of hibernating and avoiding all the hearts, I decided to take control and indulge my own passion: I took a literary road trip. The bookshop part of my journey was Much Ado Books in Alfriston. From the road there's not much to see, but I knew there was something special about the bookshop the moment I stepped into the entry courtyard and saw bundles of damaged books for sale to be given new lives as works of art. Quite how lovely the place would me took me by surprise. But first the tour. 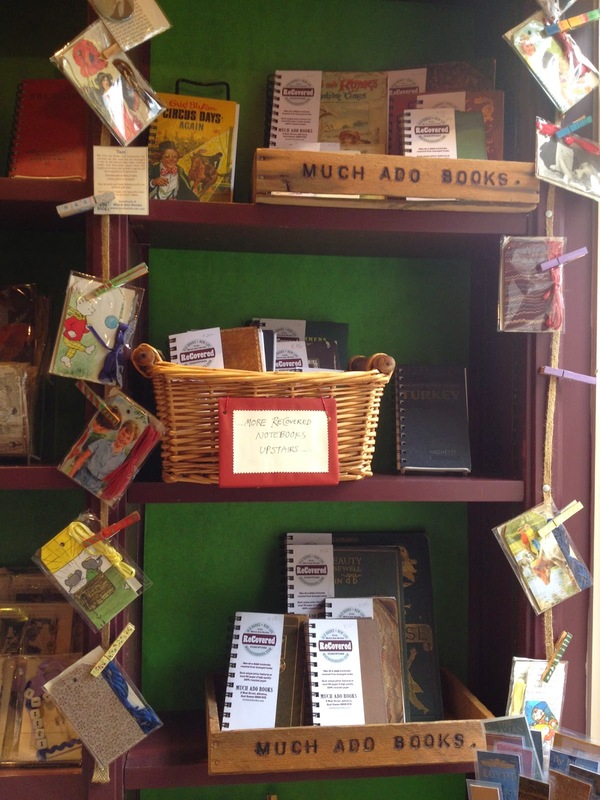 Taking a straightforward look around Much Ado Books you begin in the courtyard of secondhand books interspersed with interesting literary clippings and bundles of old books in need of a new life. Inside, the ground floor houses the new books with a smattering of cards and wrapping paper and a welcoming bookselling couple who I'll return to later. Taking the stairs up you pass the thoughtful detail of covers for muddy shoes (this is a country village) and a stunning selection of books that have been given a second chance at life after being transformed into notebooks. Then you enter the secondhand area proper, with a range of titles including the likes of 'old Bloomsbury books'. 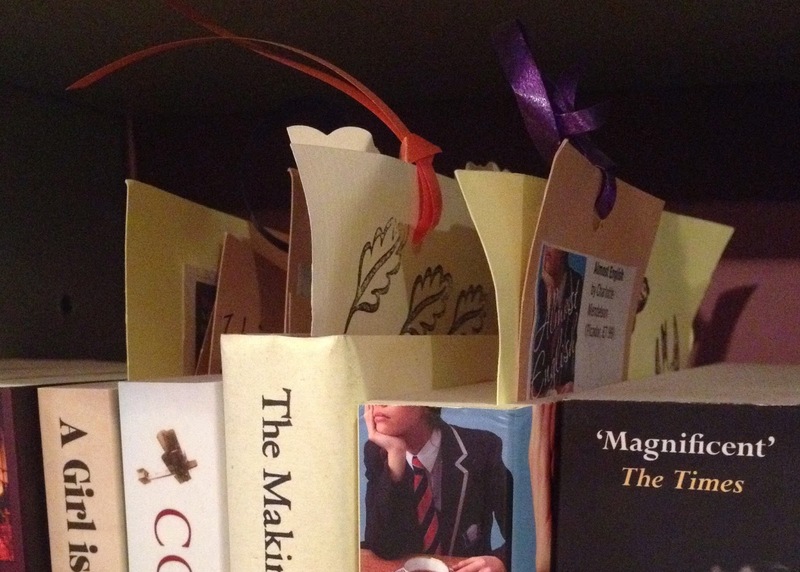 There's also a mix of crafts and other bookish delights, with my attention captured by the ephemera drawers that – politely – demand to be opened and rifled through. 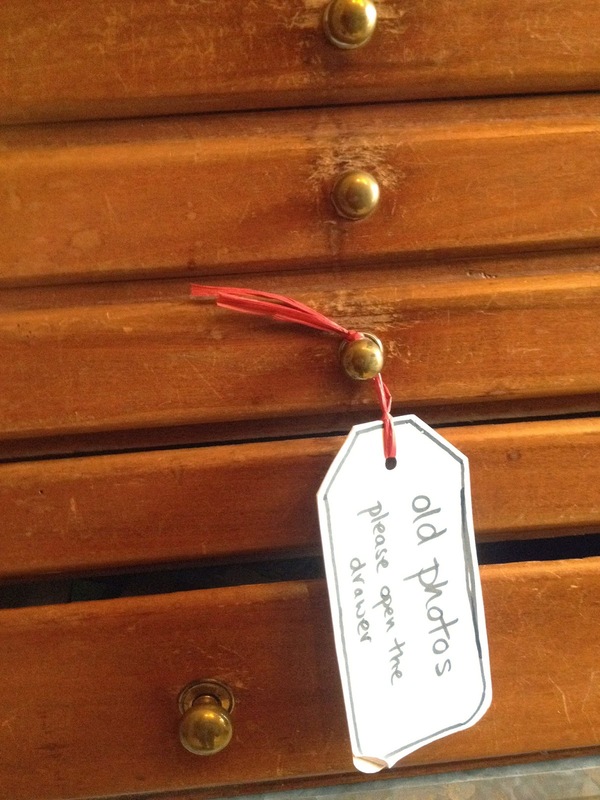 Finally, there's also a not-so-secret door that's private for Friends of Much Ado. 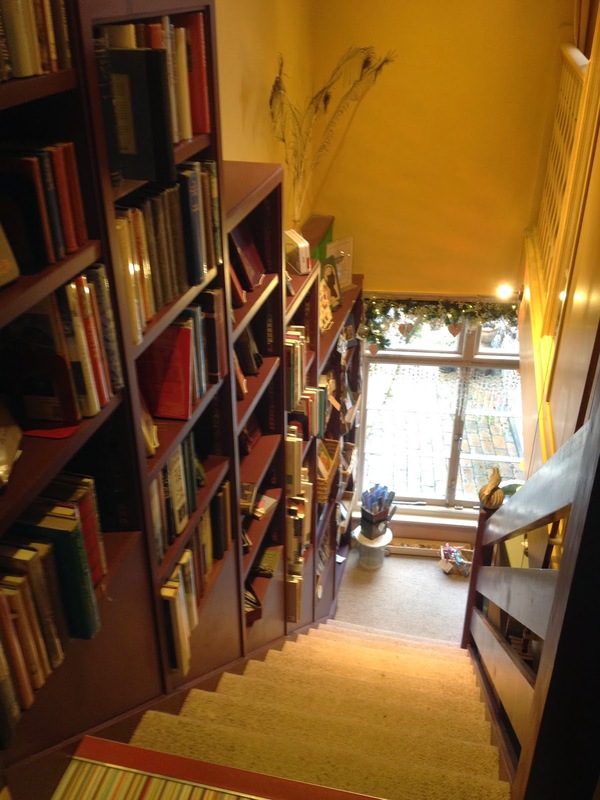 I was lucky enough to be shown behind the door and found my dream library, with everything about the books, comfort and decor absolutely perfect. Were I to live close enough to Alfriston I'd be putting myself on the waiting list to join the friends for that room alone, and it's just one of the many benefits members get to enjoy in an already wonderful bookshop. Much Ado Books is quite simply a lovingly-crafted thing of beauty, I'd possibly go so far as to call it an interactive work of art. The books on the shelves are a natural part of that loveliness, but it's the detail that makes this bookshop so special. From the interesting area labels (for instance 'get a life' instead of biography) to hand-crafted book decorations, the big picture is of a marvellous combination of books and crafts – and books about crafts – that are a delight to behold. Then you look closer and spot even more detail. Poking out of at least one in ten books in the fiction section (and elsewhere too) are bookmarks, which upon closer inspection reveal themselves to be hand-written reviews, clippings of official reviews or even little details about the location/author/anything else that's taken the booksellers' fancy. Recommendations are nothing unusual in bookshops, but the thoughtful, beautiful way in which these are done really is the most personal touch I've ever seen. It also reassured me that I was in safe hands asking to be matched up with a book myself. Approaching the counter I met Cate and Nash, the friendly American couple responsible for Much Ado Books. As my visit was on Valentine's Day and my recent reading choices have been a little on the dark side I asked for a recommendation of something happy, possibly a romance, to cheer me up. The enthusiasm with which they made their suggestions is unrivalled. From books I'd noted during my browsing to titles I already love to authors I've never heard of, their gentle suggestions and interpretations of my request both confirmed my belief in their good taste while also proving that while their stock may be small, the couple's knowledge is in no way limited. Every book on their shelves has been very carefully chosen. 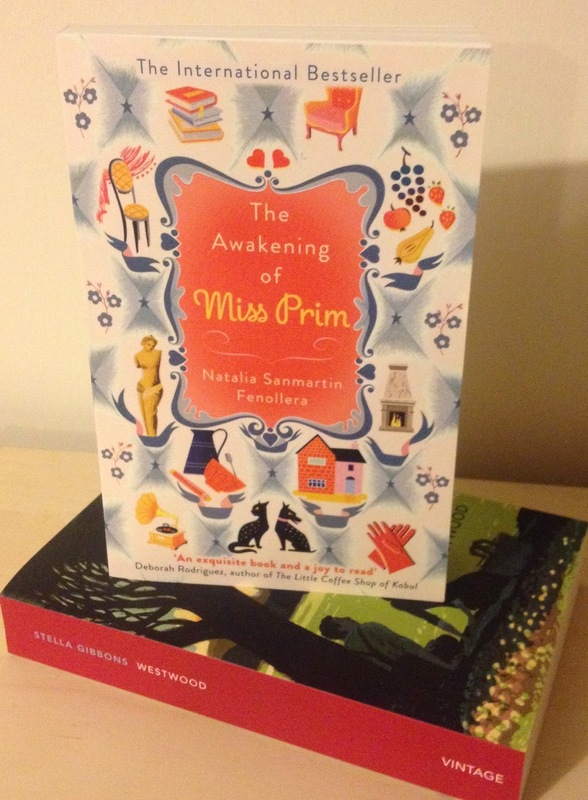 Choosing The Awakening of Miss Prim by Natalia Sanmartin Fenollera both for their spoken recommendations and the delightful review poking out from between the pages, I returned to chat more about the bookshop and enjoy a homemade blondie (like a brownie but better). Noting a basket of anonymously-wrapped books by the till I asked what they were for only to discover the couple were holding a give-away with purchases. I love the idea of unknown books so was immediately impressed, only to be surprised by Cate handing me Stella Gibbons' Westwood with the explanation she'd personally selected it for me following our earlier conversation about books. ** In the presence of such thoughtfulness what's not to love? 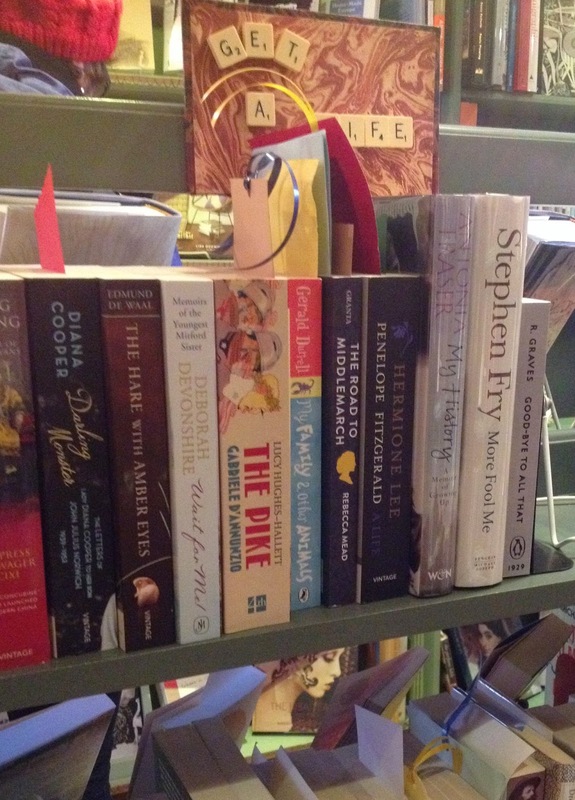 I may have been on my own for Valentine's Day, but thanks to Much Ado Books I was in very good company. * It's supposed to be about secret admirers. ** To make it clear, it wasn't until after this conversation that I told them who I was or why I was there. Just last week I wrote of my often long search to find certain books, preferring to wait and encounter them in the wild. This is partly, as I explained, to allow serendipity to take its course. But there's another reason: I like my books to have a story behind them as well as within them. There's something special about being able to look along my shelves and remember not only the experience of reading the book but also the experience of buying. Perhaps I was with a friend, or on a bookshop crawl, or maybe I just needed some time to myself. This means every book in my home has a story behind it, even if it's as yet unread. However this week's purchase, at least the main one, was not found in its natural habitat on a bookshelf but came from behind the counter, having already been caught for me by the bookseller. Meaning my meeting with neither book nor bookshop was unexpected, although thankfully it still includes a story, because when David from Balderdash Books replied to one of my tweets about a book-turned-film I had to reply. The subject was Ender's Game, a 2013 film based on a 1985 book by Orson Scott Card. Essentially, I've wanted to read this book for years but, not being able to get my hands on a copy, I'd finally given up and watched the film. It wasn't great, but the themes and ideas it addressed were fascinating, I tweeted to say as much and before the evening was out the bookseller had got in touch telling me he thought he had a copy. Less than a week later I was driving through the Kent countryside to the lovely market town of West Malling. Balderdash Books isn't the most obvious of places to find, but if you look for The Five Pointed Star pub you can't go wrong, it's roughly two doors away. Located within an arcade, you get to the bookshop down a short alley decked out with bunting and signs advertising a range of independent sellers. Being a boutique within an indoor setting (it's far too pretty to call an indoor market), Balderdash Books has no front door or window display, instead you enter the arcade and are treated to the sight of books. From cheap paperbacks to pricy antiquarian, Balderdash Books calls itself secondhand, but in this case I think 'nearly new' would be more appropriate. Entering the bookshop space I found it hard to pick out any titles that looked like they'd even been read once, nevermind handled again and again - this is a high quality bookshop for well cared for books. In fact, talking to bookseller David (who knew me the moment I walked in) I discovered many of the books were from his own shelves following his efforts to fill the shop when it first opened just a few months ago in November. This dedication means, as David freely admits, there are many books that appeal to his own interests: it would be hard to visit without appreciating the wide range of good quality history books, including both world wars, with several more unusual titles thrown in. However the selection on offer is by no means limited. All the usual genres of fiction and non-fiction are covered and the natural turnover of stock means variety continues to grow. Which is how I was fortunate enough to end up with my long-sought after sci fi gem – David had realised the shop was lacking in that area and so made a point of stocking up. This meant I was able to add to my purchases, snapping up Arthur C Clarke's Prelude to Space and John Christopher's The World in Winter alongside the pristine copy of Ender's Game. So much for my one book per bookshop rule. I may have broken many of my own rules with this visit, but it's not every day you get to meet a recently opened bookshop so I'm very glad I did. Balderdash Books may still be nearly new at just three months old, but I very much look forward to seeing those months turn into years, and hope the people of West Malling know how lucky the are to have such a rare new venture in their midst. UPDATE: 16th March, 2015. Balderdash Books has now closed. I will never order a book unless I absolutely have to. Instead I'm happy to wait for serendipity to let me find the books in their natural environment. Which is why I waited 11 years to find this week's purchase. Waiting more than a decade may seem a bit much, but sometimes it's good to take your time. My 'read one day' list is longer than my arm, written in the smallest print you can find and growing by the day, if I was to go out and buy every book the moment it was recommended/reviewed/randomly caught my attention I'd have a 'to be read' pile the size of Snowdon and a bank balance the size of... well, I wouldn't have one. Instead I remember recommendations and keep my eyes open. 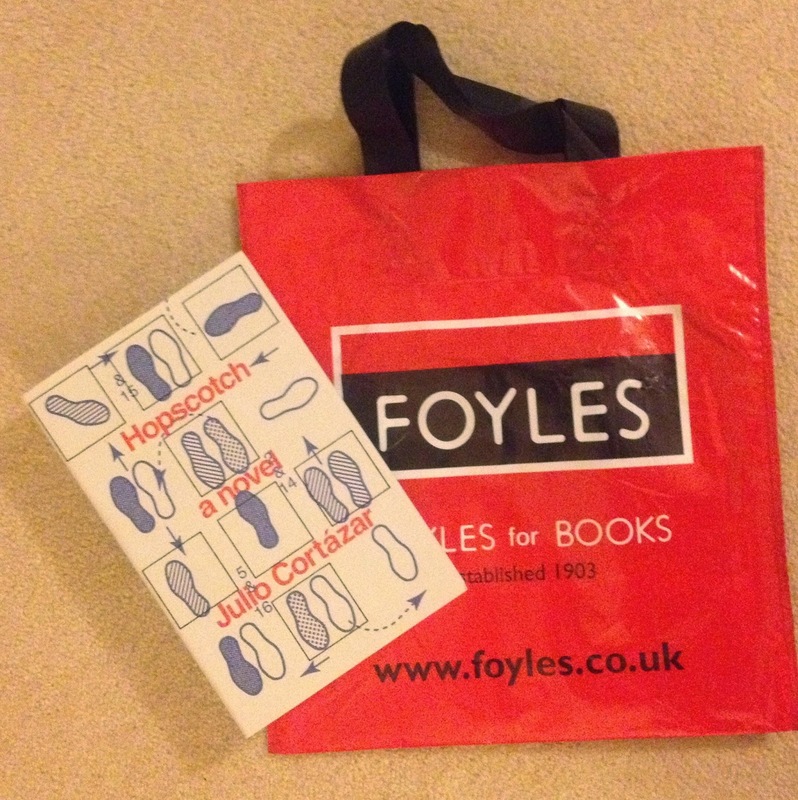 It's led to some very happy meetings, including Stephen King in Whitstable, CS Lewis on the Isle of Wight and, finally, Julio Cortazar in London when, thanks to a Books are my bag bookshop crawl, I visited the new Foyles on Charing Cross Road. Believe it or not, this is actually a bookshop I'd dithered about visiting. 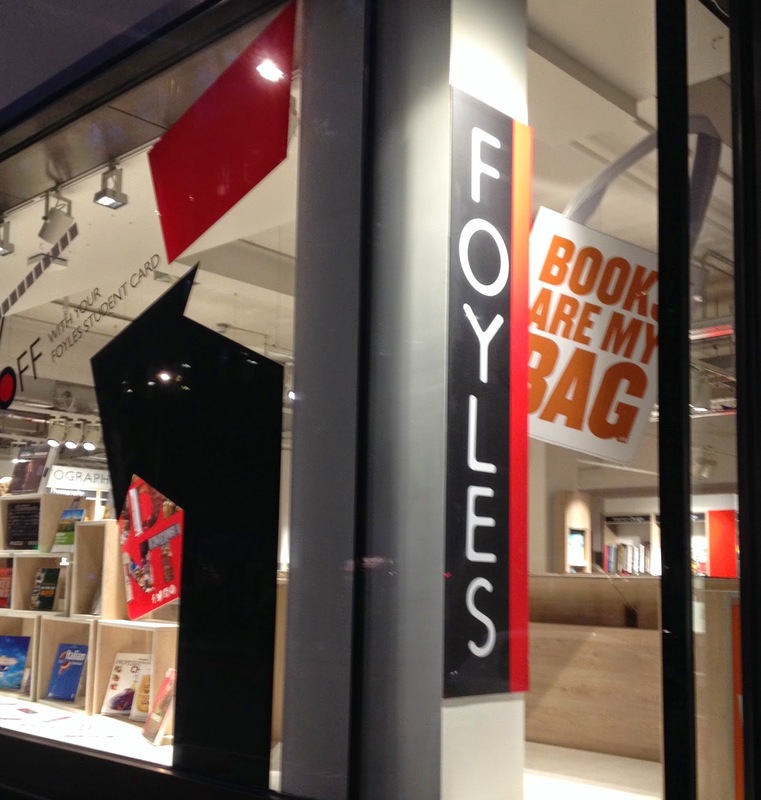 I'd adored the original London headquarters a few doors along the road and will never forget the first time I followed the fiction section as it snaked around the ground floor, taking a whole two hours to work my way from A to Z – how could a new Foyles be nearly so good? How foolish I was to doubt. 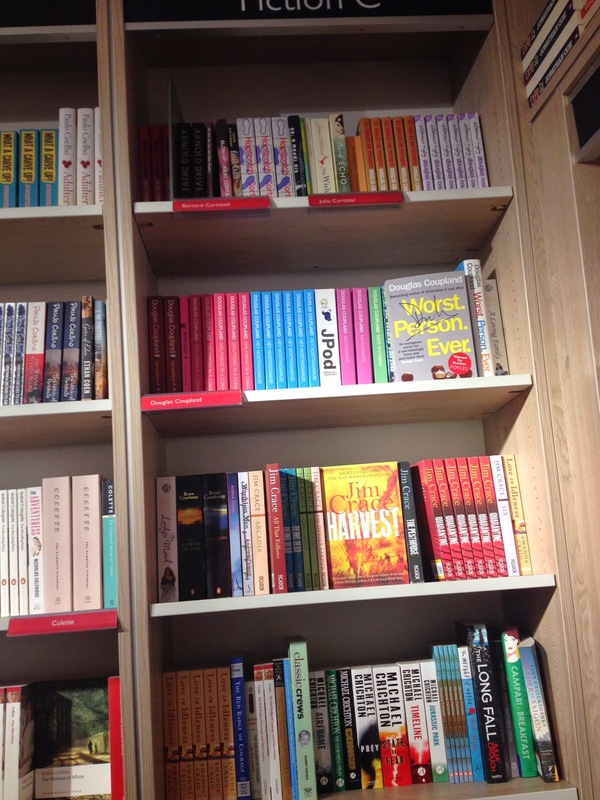 Housing four miles of shelves and 200,000 different titles, Foyles on Charing Cross Road is a bookshopper's paradise. I joyfully roamed every floor: marvelling at Ray's Jazz; playing in the children's area and growing up in an extensive young adult section. I explored the world among languages; Manga; magazines; and so much more, before gravitating to fiction. But back to the books and the completion of my 11-year search: My sister had read Hopscotch in its original Spanish and recommended it while helping me move house, warning me she didn't even know if it was available in translation. 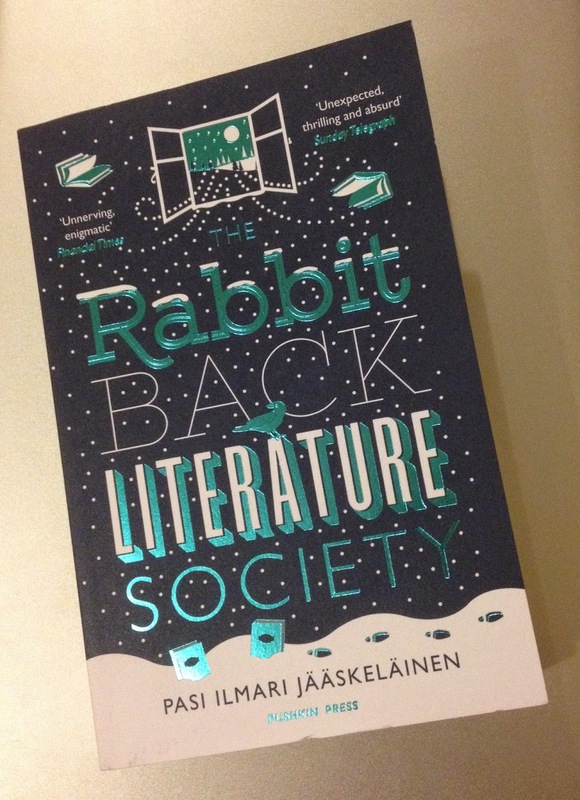 I didn't hold out much hope, but mentally noted the book and each time I found myself near translated fiction I remembered to have a look, always to no success. So imagine my joy and surprise when during my visit to Foyles I stumbled across not one but three copies of that long sought-after book. I couldn't believe my luck. To add to my joy, Hopscotch wasn't the only elusive title I found that day, meaning I've since returned (more than once) to rehome a few more long-awaited friends. Even now, having completed several visits to Charing Cross Road's Foyles, I still can't get my head around the sheer scale and beauty of this bookshopping heaven, but one thing's for certain: with so much variety and choice under one roof I really will never need to order a book.